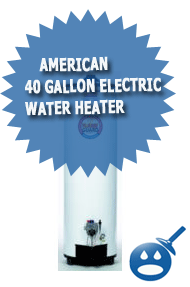 Water heaters play a very important part in our daily lives. We could not wash our hands properly, prepare foods, wash our dishes or wash our clothes. The Envirotemp 38 Gallon Table Top Electric Water Heater is a energy efficient way to get the hot water when you need it plus it can save you money on your home energy bills. The Model Envirotemp E2F38TDO45V is a long lasting electric water heater that has strong and reliable components such as the copper heating elements. These elements are to ensure users of the hot water availability. 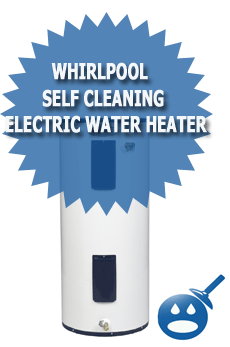 The unit contains a dual 4500 watt heating element to ensure hot water every time. The Envirotemp 38 Gallon Table Top Electric Water Heater uses a 2-inch fiberglass insulation that will protect the water heater and eliminate stand by heat loss that occurs in many older water heaters. The units have glass lined tanks and anode rods that are factory installed to protect the unit against rust and corrosion, thereby providing a longer life span for your water heater. The Envirotemp Electric Water Heater is a tabletop design, making installation easy and since the unit is compact it will save you space too. The tank is 38 gallons, which can accommodate a family size of 2. The water connection on the unit is located at the top with a 3/4″ inch connection size. The electrical requirements are 240 volts. There is a factory installed Temperature and Pressure Relief Valve to aid in maximum operating of the water heater. The gallons per hour recovery rate on this model are 20.7 with a 90-degree rise. The unit as we mentioned is energy efficient with an energy factor rating of .88. According to the Yellow Energy Guide Sticker that is found on all appliances, this one states that the estimated yearly cost on the unit is about $ 531.00 and the estimated energy use is 4990 kwh per year. This number is an estimate since every home is different. This tabletop water heater is best used on residential homes only and you should only use a qualified technician when installing an electric water heater. 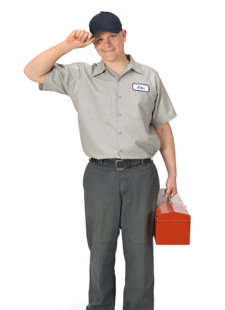 You want to make sure that all codes, regulations and installations are cleared plus you want to keep the warranty in tact. Make sure that you read the warranty information as well as the installation instructions before attempting any installation. Envirotemp is a great way to save money as well as provide hot water when you need it. You can find the Envirotemp 38 Gallon Table Top Electric Water Heater at your local Lowe’s Department Stores and other online locations. Prices may vary. If you wish for to improve your know-how simply keep visiting this website and be updated with the newest news posted here.